Ben is a fire fighter, trainer and writer. His soon to be published book, The Fireman, has attracted interest from film producers with rumours that Tom Hardy will take a starring role. 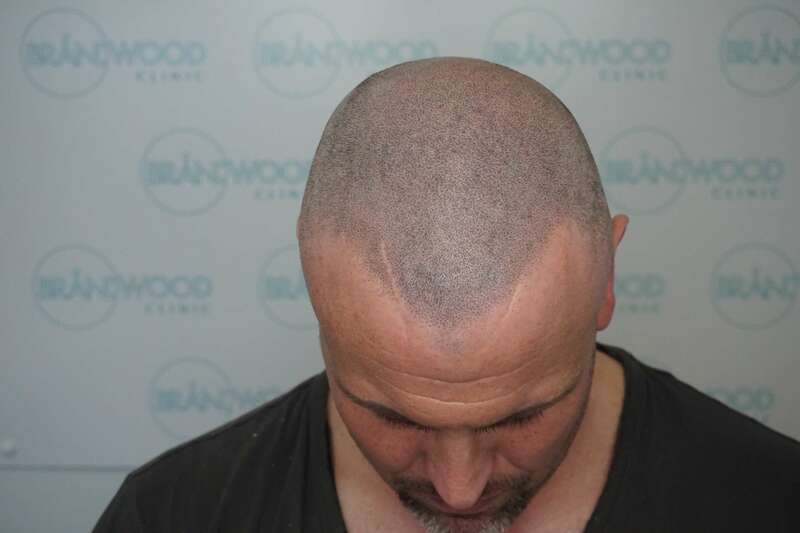 Ben’s hair loss journey started with a few little patches of alopecia, it attacked his profiles and areas around the head. Life’s stresses ironically compounded by alopecia combined to make Ben’s hair fall more rapid. 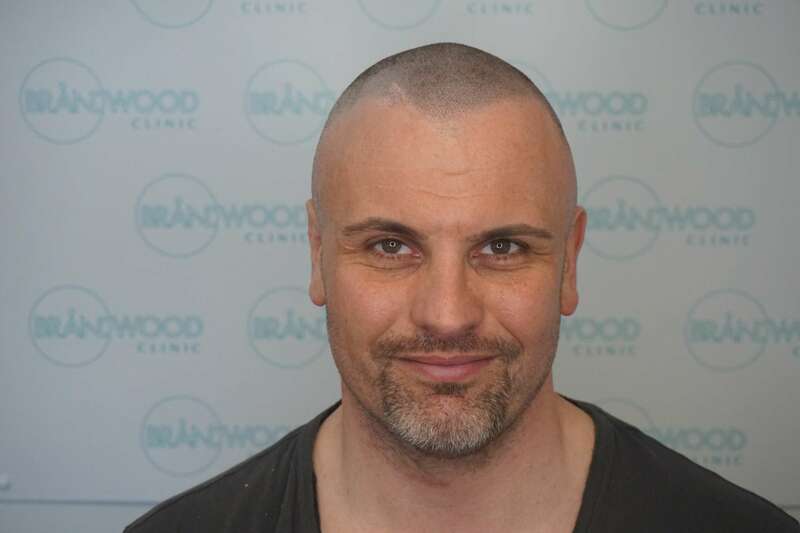 He undertook intensive research into SMP and kept coming back to the Brandwood Clinic website. He couldn’t believe what he was seeing on the site wasn’t hair! “It was the hair lines that sold it to me. I was looking for something so realistic, I wanted it to be perfect. I do a lot of guest speaking and didn’t want to be self-conscious about it, all the eyes on me need to be fooled. 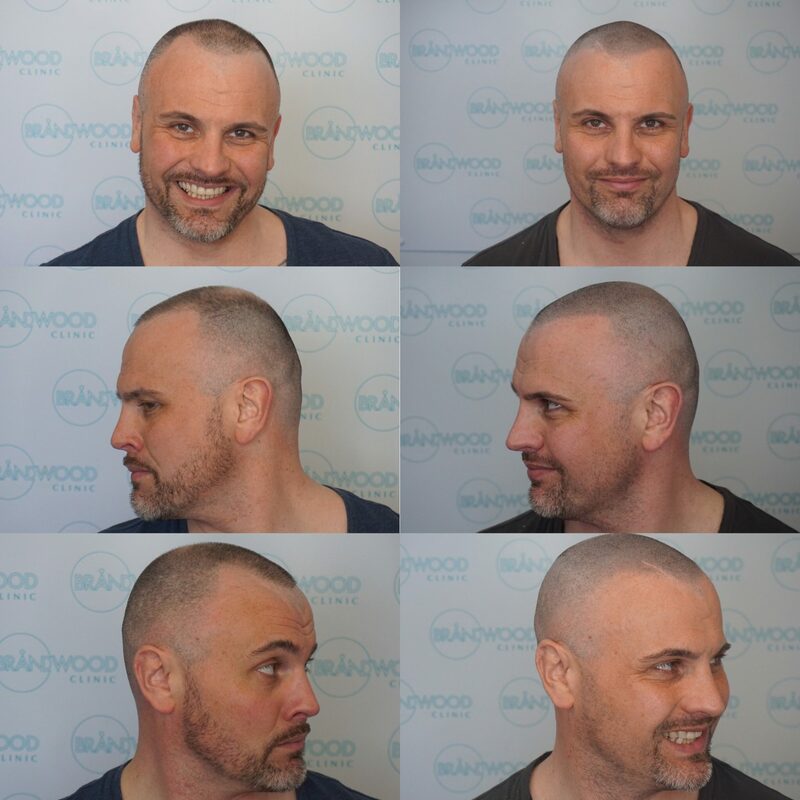 “I booked a consultation and met Paul Clark and Simon Lane. These guys have so much passion and knowledge about hair loss and SMP I felt like I was in good hands. They have launched so many techniques and hairlines, I was buzzing and feeding off their energy and so I booked in there and then. “Now I’ve had all 3 sessions, I can’t begin to tell you how great and confident I feel. It’s been a very long time since I’ve felt like this. I even have some attention from the ladies (lol). The work that’s been done has blown people away when I’ve told them. The ones I haven’t just say fair play for shaving your head it looks well clean and fresh. “I’m going to the States soon for two big occasions; one talking to movies studios about my life story and my book, and there’s also a massive convention where I will be training fire fighters. Having this new look now I feel I can look them in the eye with my head held high and be the new confident me. 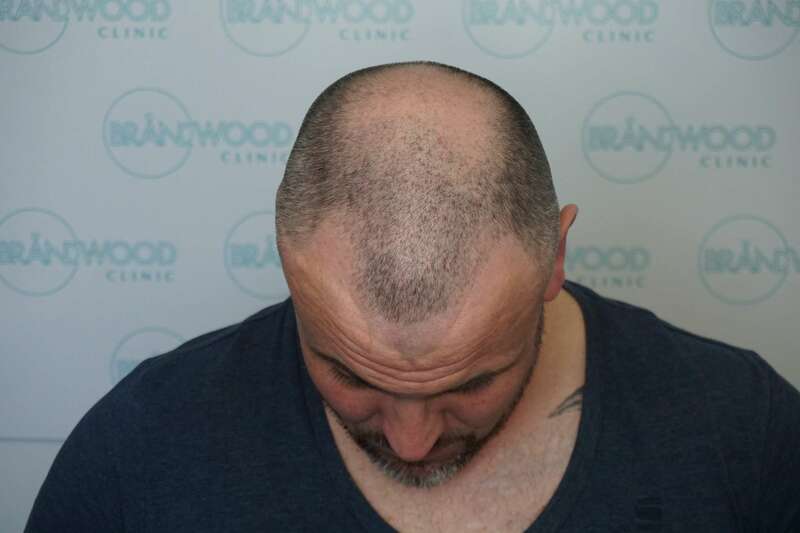 Thank you Brandwood Clinic for the new ME!